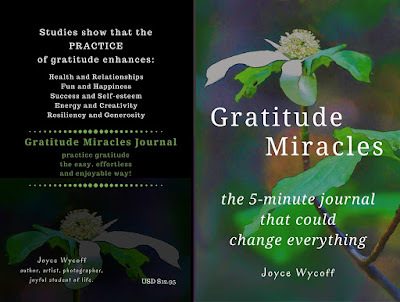 Gratitude Miracles ... the 5-minute journal that could change everything! is organized into 13 4-week cycles to give you plenty of time to maximize the results of the practice. 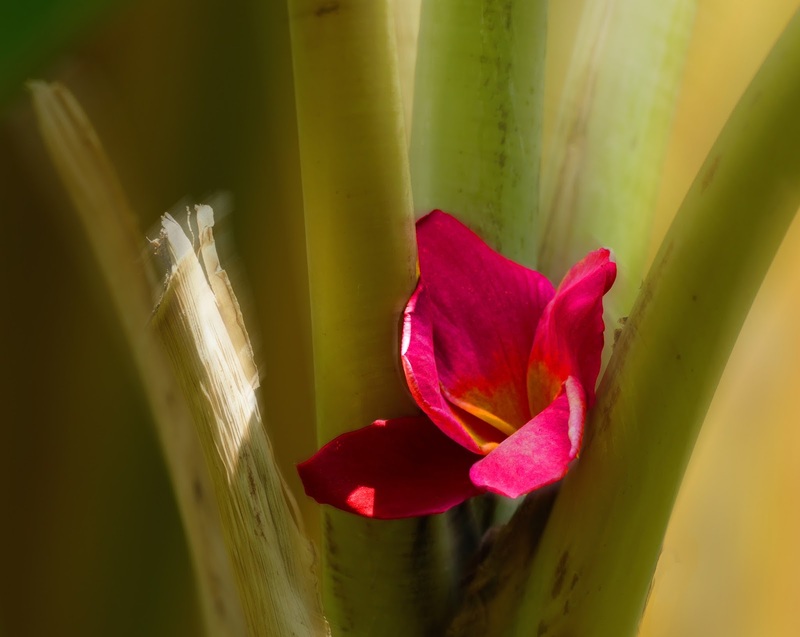 Each cycle begins with a short snippet about the featured benefit of that cycle. This is the snippet for Cycle 3: Better Relationships. A new study shows that feelings of gratitude were the most consistent predictor of marital quality among couples of all ages and socioeconomic backgrounds. Couples who are more grateful for one another report being closer, more committed, and having greater mutual relationship satisfaction. “You can more easily accept others and yourself. We are all imperfect people seeking the best possible life. There is no reason not to be friends. Each cycle begins with a short snippet about the featured benefit of that cycle. 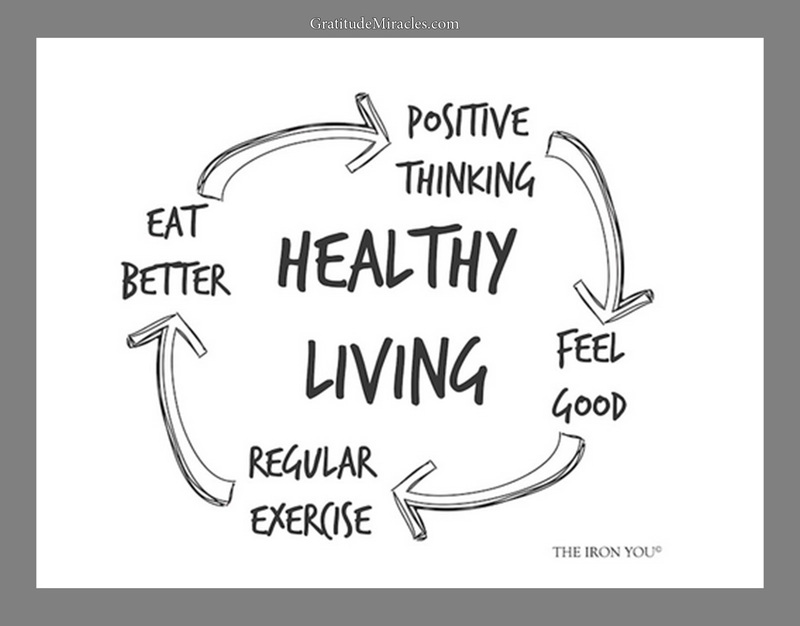 This is the snippet for Cycle 2: Health & Fitness. Deepak Chopra says, "Experiencing gratitude is one of the most effective ways of getting in touch with your soul. When you’re in touch with your soul, you eavesdrop on the thoughts of the universe. You feel connected to everything in creation. You embrace the wisdom of uncertainty and you sense yourself as a field of infinite possibilities." Whether you consider gratitude a practical practice or a spiritual practice, studies show that it affects almost every aspect of your being. Each cycle begins with a short snippet about the featured benefit of that cycle. This is the snippet for Cycle 1: Happiness. University of California at Davis researcher Robert Emmons, Ph.D., states, “The best way to reap the benefits of gratitude is to notice new things you’re grateful for every day. 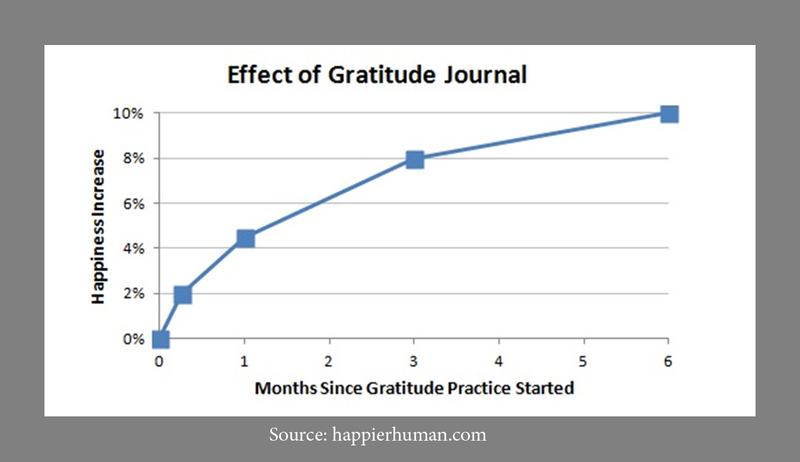 Gratitude journaling works because it slowly changes the way we perceive situations by adjusting what we focus on. While you might always be thankful for your great family, just writing ‘I’m grateful for my family’ week after week doesn’t keep your brain on alert for fresh grateful moments. 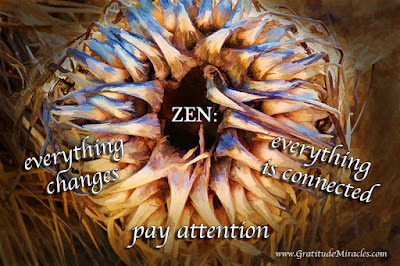 “Opening your eyes to more of the world around you can deeply enhance your gratitude practice. Make a game out of noticing new things each day. 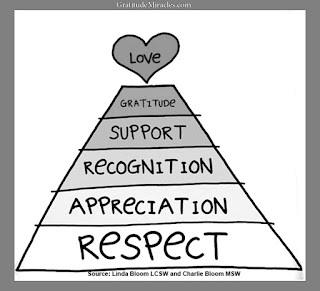 Emmons suggests that focusing our gratitude on people for whom we’re thankful rather than circumstances or material items will enhance the benefits we experience. 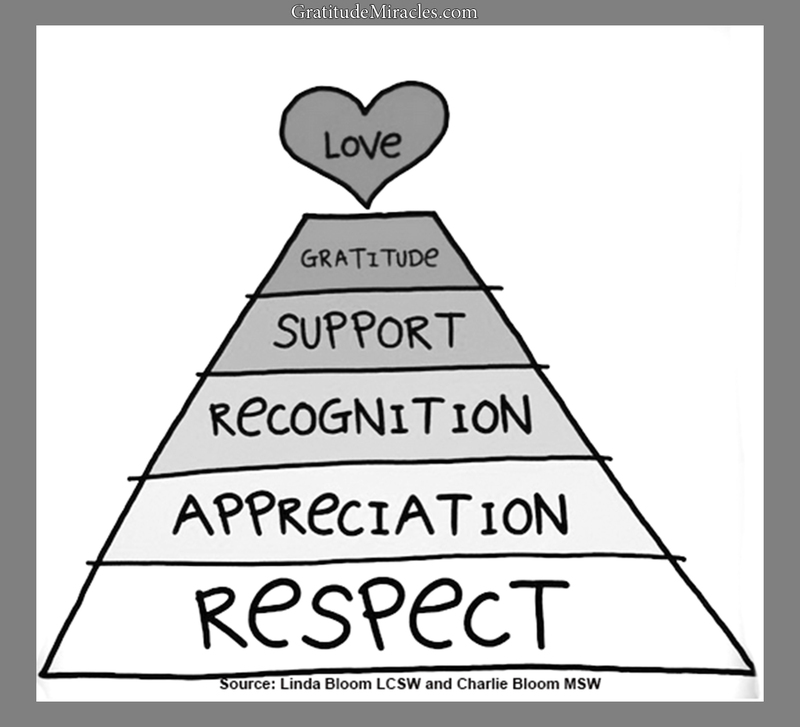 And while you’re at it, why not include others directly into your expression of gratitude? One Happify.com activity involves writing a gratitude letter to someone who had an impact on you whom you’ve never properly thanked. Gratitude Miracles, the 5-minute journal that could change everything! is available at amazon.com. Click Here. On this day as I begin my second year of gratitude practice, I give thanks for where I am and where I’ve been and hope this poem makes up for some of the moments of gratitude I’ve missed along the way. who have made my life possible, made it a joy. never once asking for my thanks. graciously accepting my laughter and tears as thanks enough. thanks. ... Thanks! ... Thank YOU! 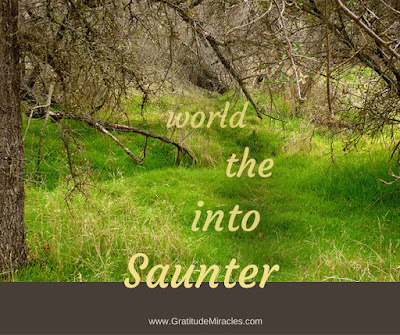 Mick Ukleja at LeadershipTraq.com suggests that you "Saunter into your day. 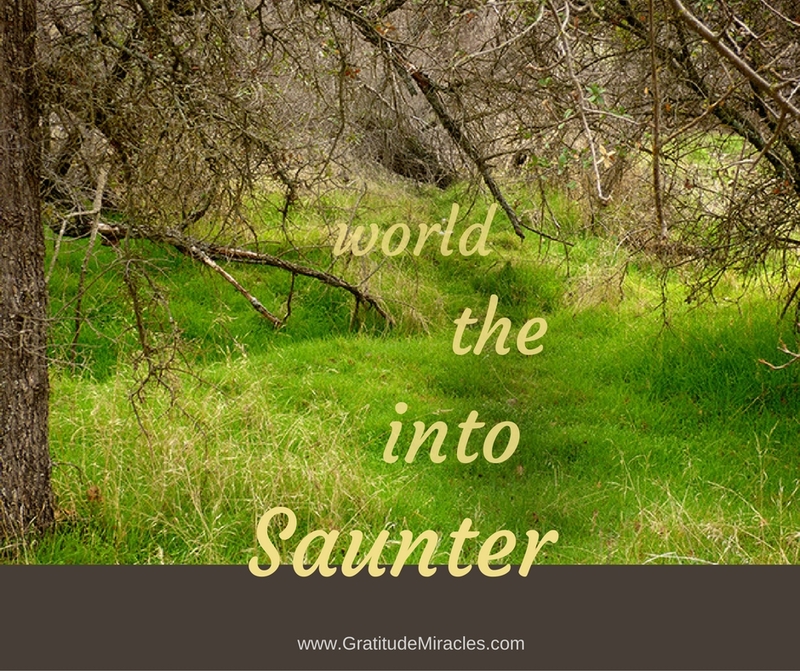 The word saunter comes from the Middle Ages. Everything was considered sainted, including the earth - St. Terre. Therefore, to saunter is to walk on the earth with reverence for its holiness." Take time to enter your day slowly and with reverence. 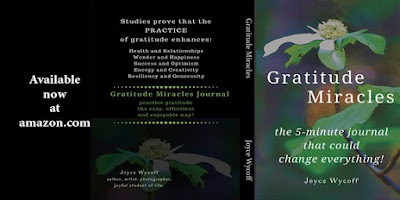 Since I started working with the Gratitude Miracles journal, I’ve become more aware of ordinary miracles. I note them in the journal and every week a few turn up. Most of them have indeed been ordinary even though unexpected and delightful … a visit with a friend, a new idea or opportunity, a kind comment. None of them have been more ordinary than the chair I bought earlier this week at the Salvation Army Thrift Store. My last move left me without a comfy chair. I thought I could make do with the couch. I thought that for a year and a half before deciding I truly needed a good chair, a recliner. It had a few constraints: cloth not leather, small enough for me to lift it, plain color - blue or wine, and in reasonably good condition. I’ve been checking Craigslist and local thrift stores, becoming more and more discouraged, to the point where I wondered if I would have to buy something new. So, it was a surprise when I found the almost perfect chair, at a thrift store that I almost never go to, and also on sale. I didn’t even count this chair as a miracle. It was just something I wanted and finally found. Don’t get me wrong. This is not a designer living room. It’s a motley assortment of mis-matched items from various thrift stores since I sold all my furniture before my last move. But, when all the pieces were back in place, … I don’t know how else to say it … it turned into sacred space. It made my heart sing. It made me think of the space and all the surfaces in it as altars … altars to spirit, to creativity, to life. Several years ago, I saw the movie, Words and Pictures, about two high school teachers: one art, one English. 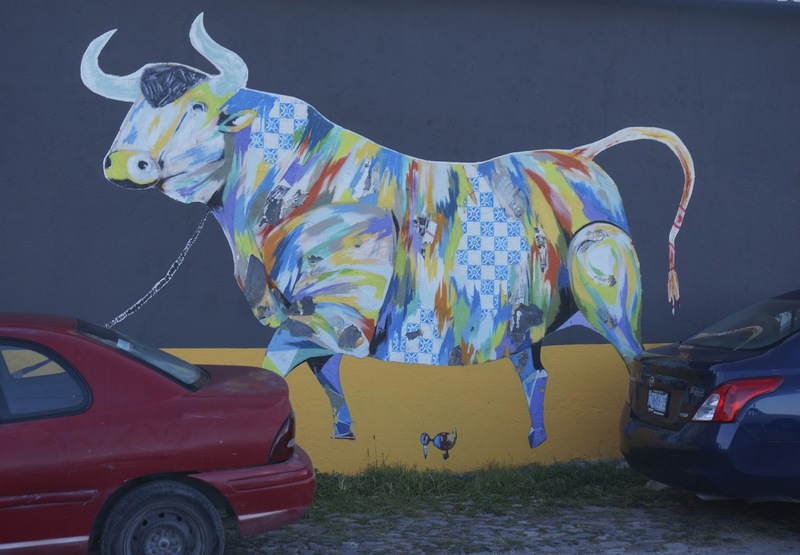 The art teacher suffers from rheumatoid arthritis and lives in her studio. 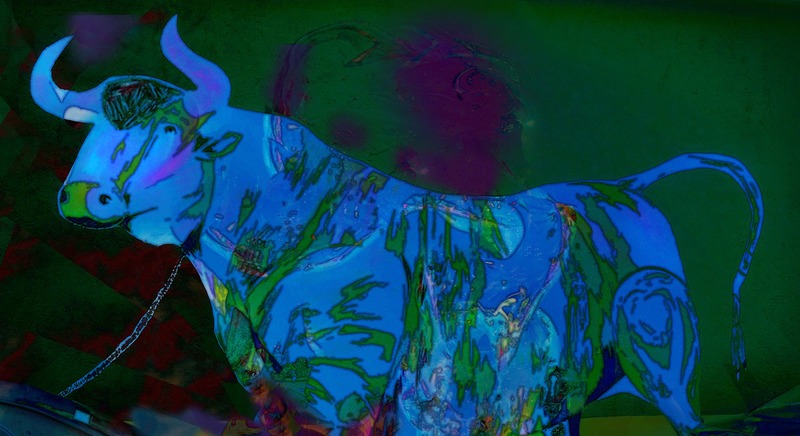 The movie is good, but I was captivated by the idea of living in an art studio. Of course, my art is digital so it wouldn’t have all the wonderful paints and brushes and canvases and so on that make a painter’s studio so wonderful. My art studio would look more like living in an iMac. Now, however, I feel like I am living in a studio. 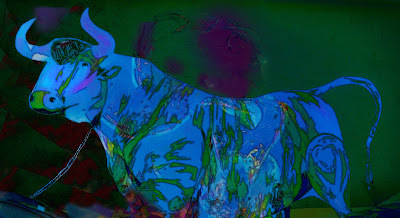 It is alive with art and color and books and the projects I’m working on. I’ve spent the last couple of days cleaning and rearranging, honoring the space as sacred, honoring the miracle of creativity and life, honoring the dance of gratitude and miracles. I think we must be kindred spirits. This bull spoke to me, invited me to play. Today, sitting in my new space, my new studio, we did, indeed, play. Day 25/365: I am grateful for the cycle of life that is beautiful in birth and in death, in ascendance and decline. 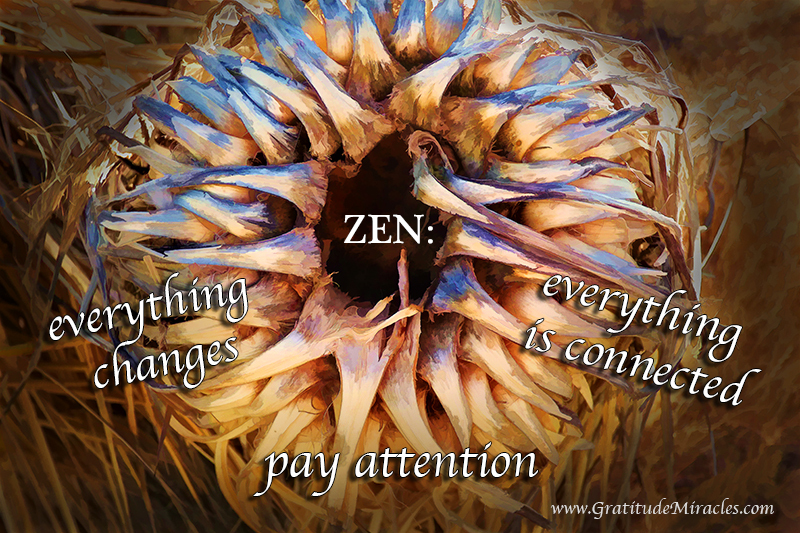 This image was prompted by the quote of poet Jane Hirshfield, "Zen pretty much comes down to three things: everything changes, everything is connected, pay attention." I like simple things I can remember, and particularly commands that you instantly understand but can take a lifetime to master. It seems appropriate to pay a little more attention to "attention." So a few more quotes. Then don't leave until you have captured its essence." that there is no substitute for paying attention." -- Kevin Kelly, editor "Wired"